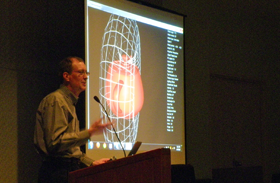 Members of this networking, mentorship, advisory, and philanthropic group are passionate advocates of computer graphics and interactive techniques. Since 2003, together with the ACM SIGGRAPH Education Committee, they have sponsored the Spend a Week at SIGGRAPH Student Program, which brings high school sophomores and juniors to the the annual SIGGRAPH conference. Each student is mentored by a Computer Graphics Pioneer. The Pioneers also share their opinions with the ACM SIGGRAPH Executive Council and conference committees to help shape the future of the organization. 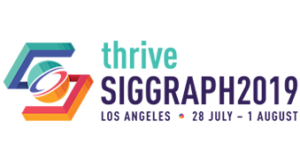 Each year at SIGGRAPH, the Pioneers get together for an exclusive, Pioneers-only reception. It’s a chance for old friends to reconnect and new friends to be discovered. Appetizers are served, and a distinguished speaker from the computer graphics community gives a talk just for the Pioneers. 1. Twenty years of experience in some aspect of computer graphics and/or interactive techniques. It’s not just for technical types; sales people, company presidents, artists and animators are also eligible and welcome. Membership supports the mentorship program, provides admission to the annual Computer Graphics Pioneers reception and awards a Pioneer ribbon for display during and after the conference. Members also agree to perform some service to the computer graphics community. This service may include conference or journal paper reviews, financial support of the mentoring program, serving as a mentor, or some other service as needs or opportunities arise.